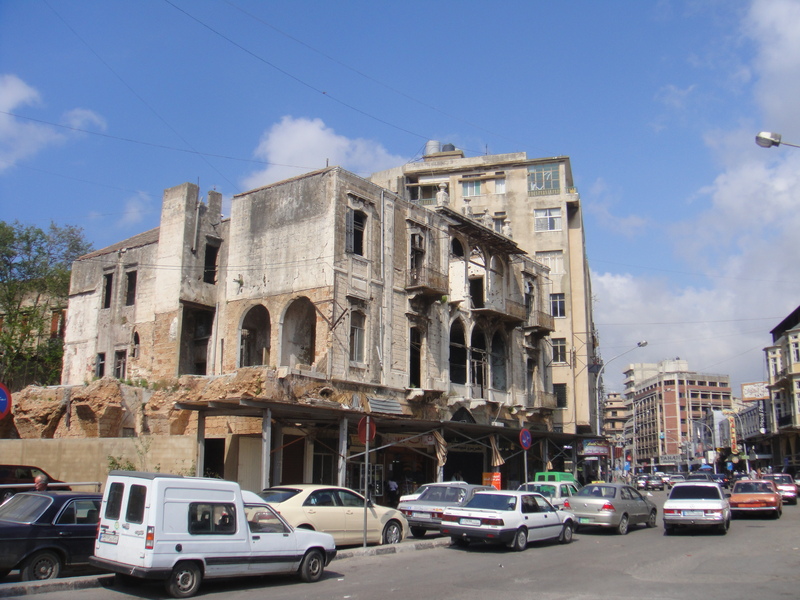 Tripoli is also known as Trablous… And despite being Lebanon’s second largest city, very few outsiders make the journey up to Lebanon’s north to pay a visit. Evidence of settlement here goes back to the 14th century BC, but Tripoli’s past likely goes back much further. 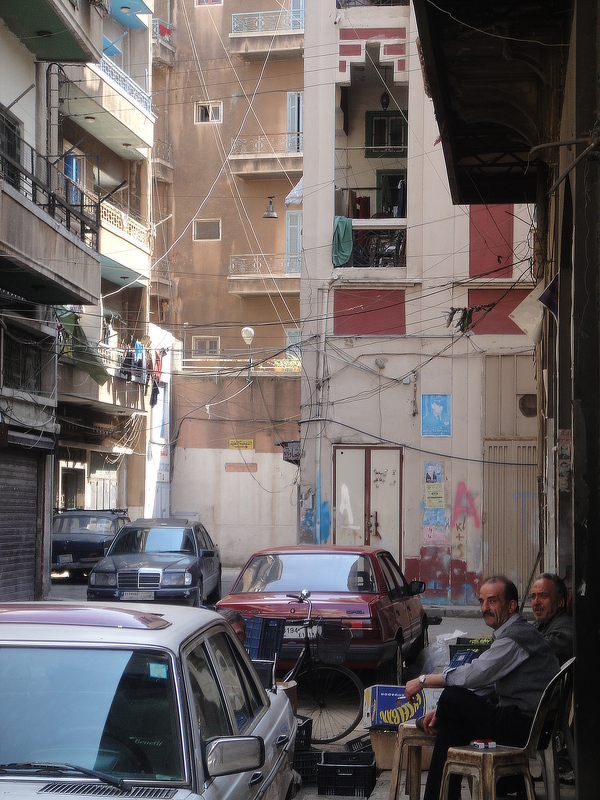 Today, Tripoli is a conservative city comprised primarily of Sunni Muslims. 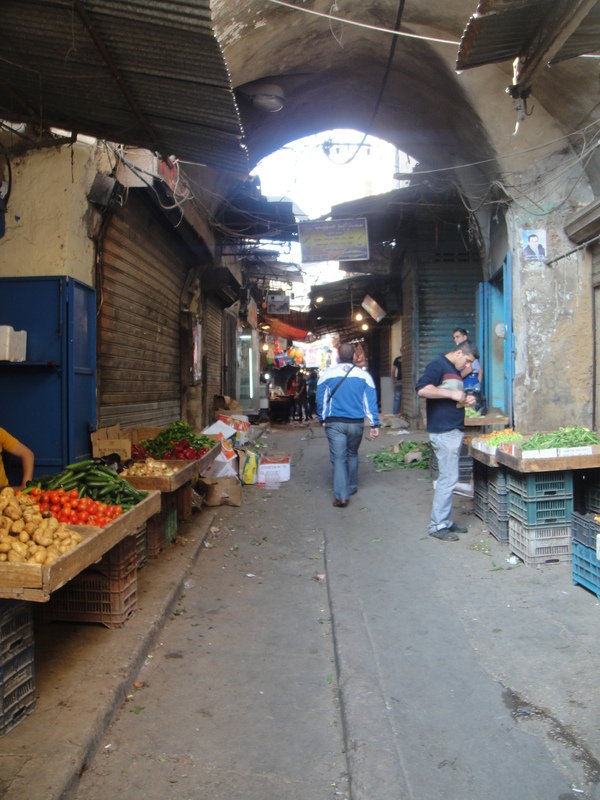 It is perhaps not surprising that the pro-Arab nationalist forces, led by Rashid Karami, based themselves here in the civil war of 1958 and were not dislodged from the city’s labyrinth of old streets until after several weeks of fighting. These guys are so charming and engaging that despite knowing you are being led along a sales process, you still eagerly participate. 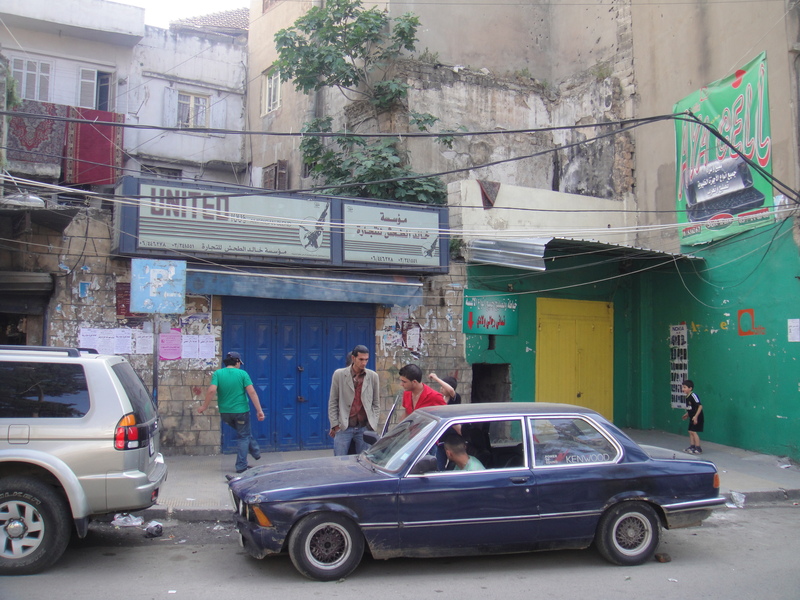 As alluded to above, Tripoli is no stranger to conflict. 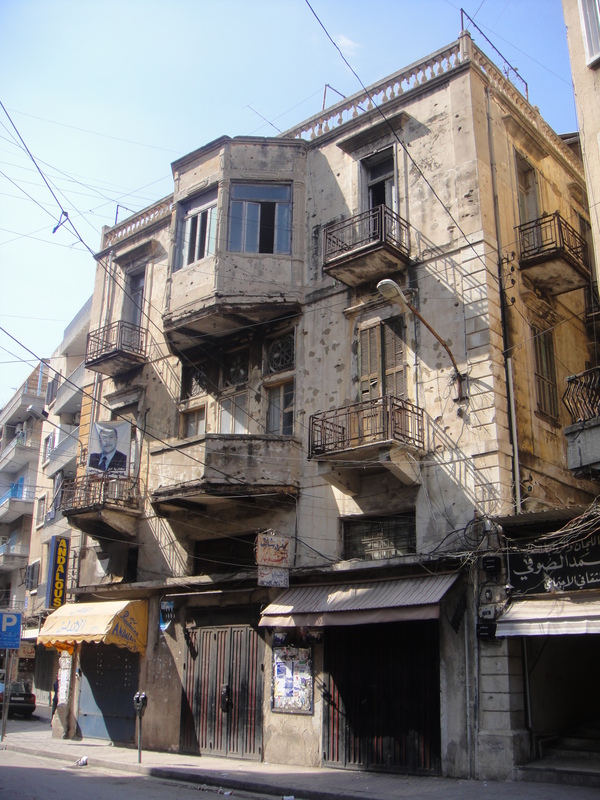 In the 1975-1990 round of warfare, Tripoli suffered extensive damage – particularly during inter-Palestinian battles in 1983. Both during and after the civil war, the population of Tripoli increased significantly as refugees, primarily Palestinian, poured in. 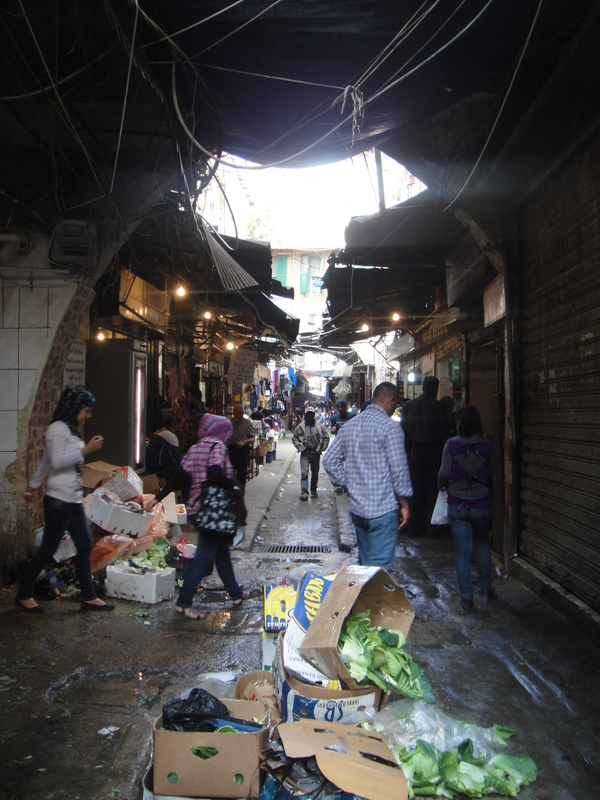 Most of these Palestinian refugees reside today in the UNRWA-administered Beddawi and Nahr el-Bared refugee camps on the outskirts of the city. 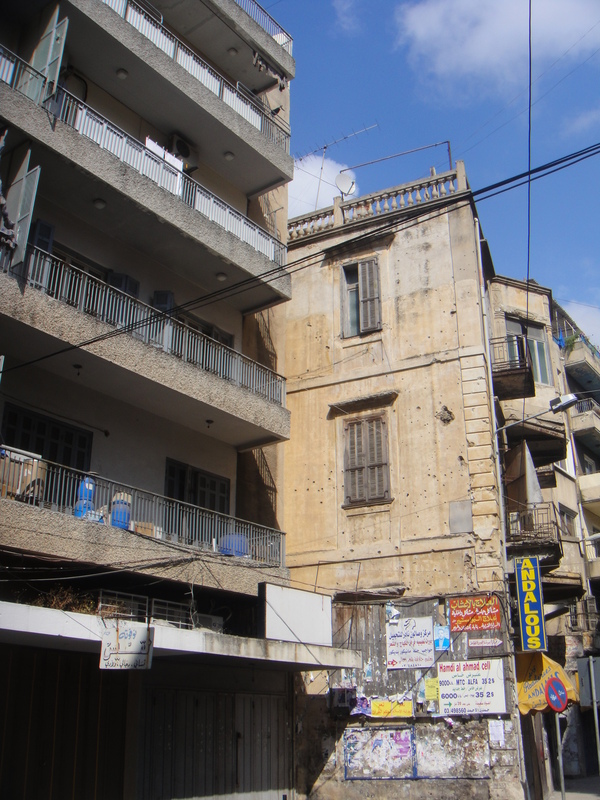 In May of 2007, Palestinian militants, allegedly linked to al Qaeda, and Lebanese police began battling it out in the streets of Tripoli, before fighting moved to the Nahr el-Bared refugee camp. 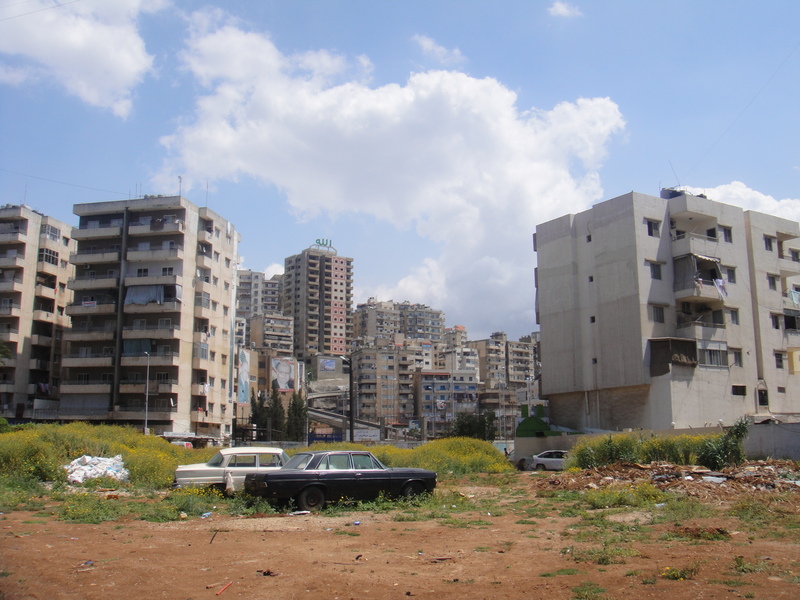 The Lebanese military was finally able to regain control of the camp in September 2007 after months of fighting. And then, of course, there is Oscar Niemeyer’s fantastic creation in Tripoli that was itself a victim of the Lebanese civil war in that it was abandoned at the outbreak of hostilities in 1975 and never completed. However, the site today is, if anything, enhanced by its abandoned status, so this may be one war victim we need not mourn. Tags: Justin Ames, Lebanon, Nahr el-Bared refugee camp, soap production, Tell Square, Tripoli. Bookmark the permalink. 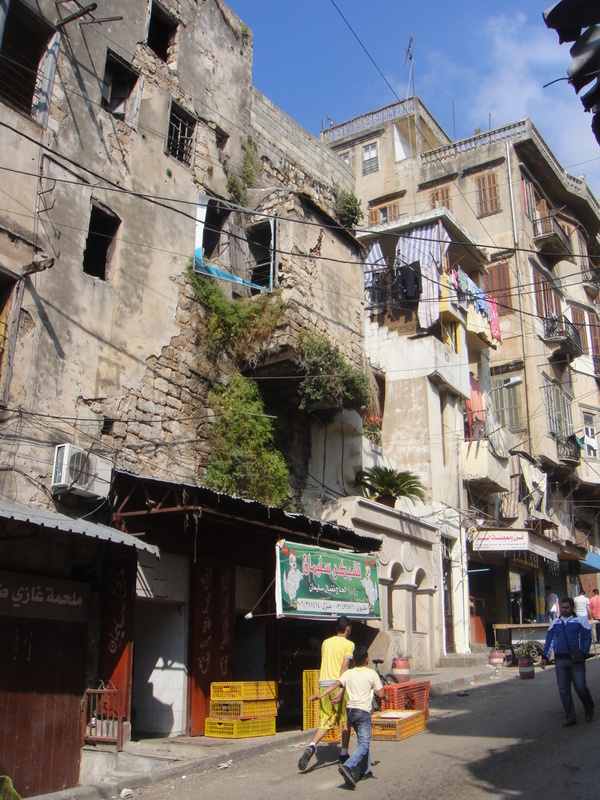 The sprawling housing estate of Bab al-Tebbeneh north of Tripoli sits cheek-by-jowl alongside the Jabal Mohsen estate. They are neighbours but their allegiances are worlds apart. 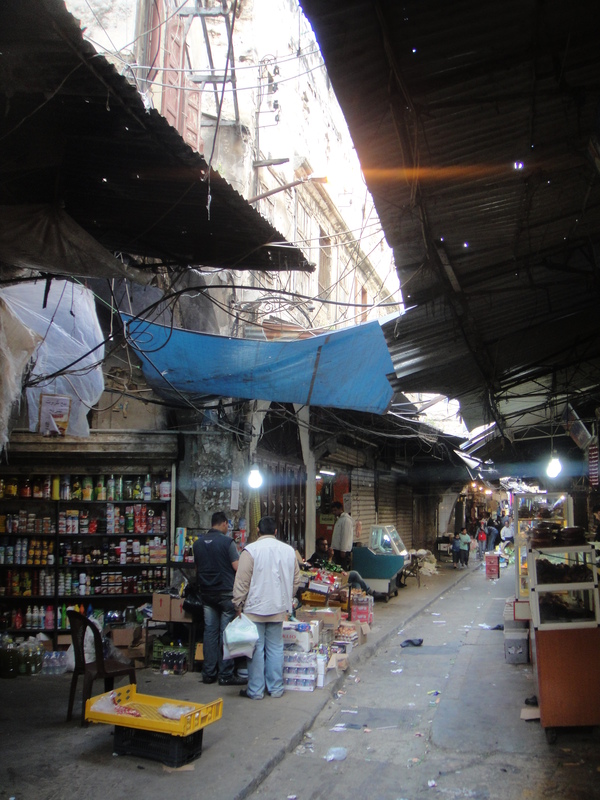 To get to the street that split the two communities we have to dart in and out of side streets and alleyways, workshops and backrooms. We sprint through the gaps between the high rise apartment blocks, lest the snipers pick us off. Even the dogs run faster here, sensing the fear. At times the gunfire is deafening as the residents let off a few rounds to let the guys sitting in the opposite estate know that they’re still there. Snipers reply, sometimes inadvertently hitting the minarets of one of the estates’ many mosques. 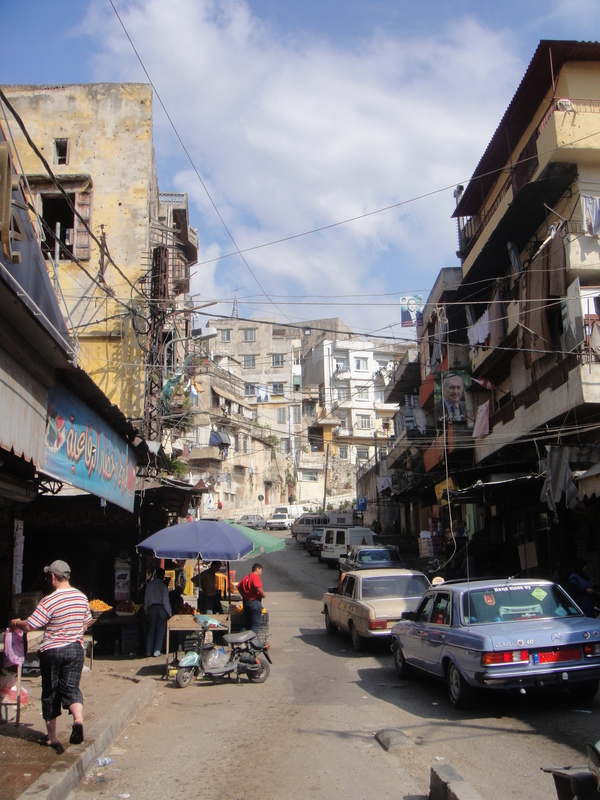 Inner city estates all over the world have gangs that fight against other estates, but rarely with RPGs and AK-47s, and rarely in the name of another country’s conflict. The flag of the Syrian opposition hangs outside some homes in Bab al-Tebbeneh. 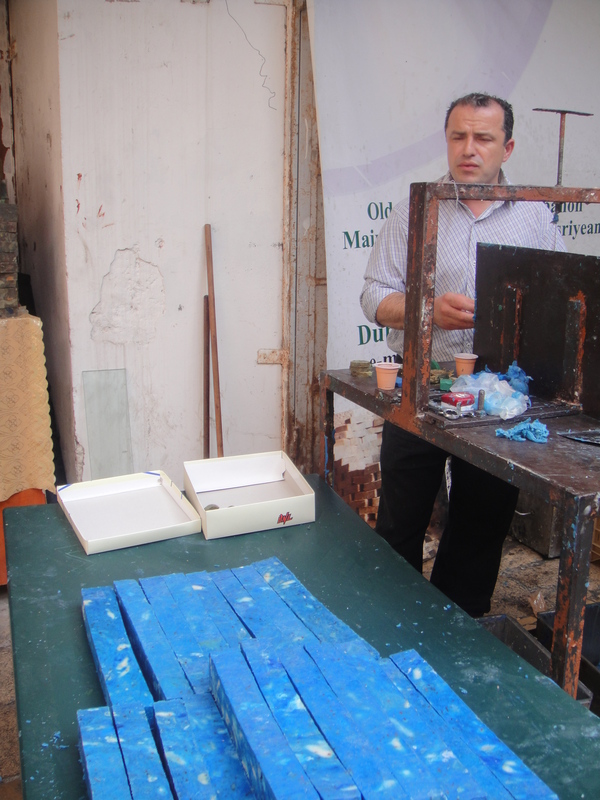 Residents here are vehemently against President Assad’s regime and against Hezbollah, which support his regime. Their neighbours are Assad loyalists. The sight of a banner hung on Thursday night that read “Slaughterer” next to a picture of Assad provoked an angry response in Jabal Mohsen. It didn’t take much for that anger to turn to violence. Women and children look down from their balconies, too scared to come out onto the streets. One apartment above our heads bears the scars of the overnight violence. Two large holes mark where RPGs slammed through the wall at 6am that morning. The family sleeping inside escaped unharmed. The Lebanese army try to intervene, after asking some of Tebbeneh’s gunmen to allow them into the estate. You begin to wonder who is in charge. Efforts to stop the clashes result in six injured soldiers. Two civilians are killed and over twenty injured. A Jabal Mohsen MP blames the clashes on the anti Syrian regime faction – they couldn’t defend Homs so they were attacking those who sympathised with Assad. There are certainly many residents who have family and friends in that besieged city. And a week of intense bombardments there is having an impact eighty kilometres west in this Lebanese city. But the violence here won’t help overthrow a regime, nor will it persuade the international community to intervene. It merely serves to remind us that Syria sits slap-bang in the middle of a very volatile region and the threat of the conflict spilling into neighbouring countries is all too real. 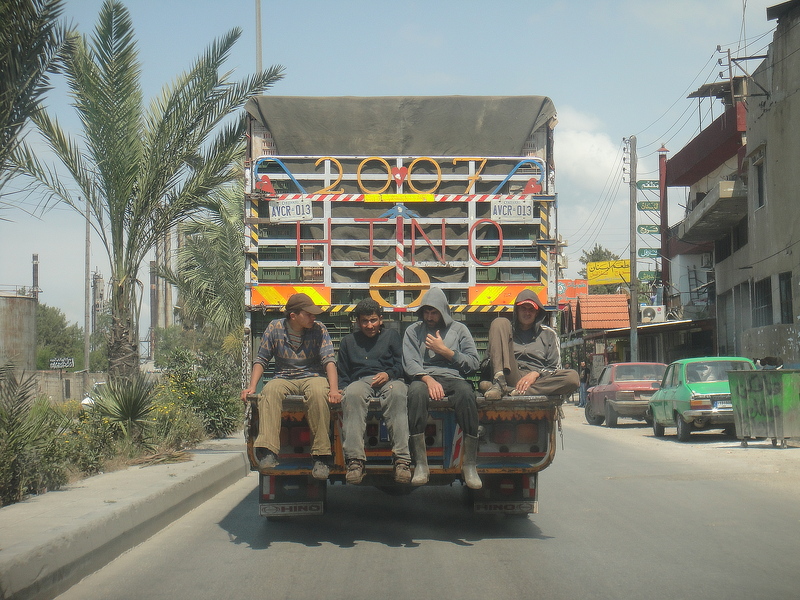 TRIPOLI, Lebanon—Syria’s civil conflict is rapidly expanding into a regional proxy battle that threatens to cleave neighboring countries, including Lebanon and Iraq, as their populations harden along sectarian lines. Syria’s struggle is reopening sectarian fault lines in places like Tripoli, a city in northern Lebanon where tensions have long simmered. 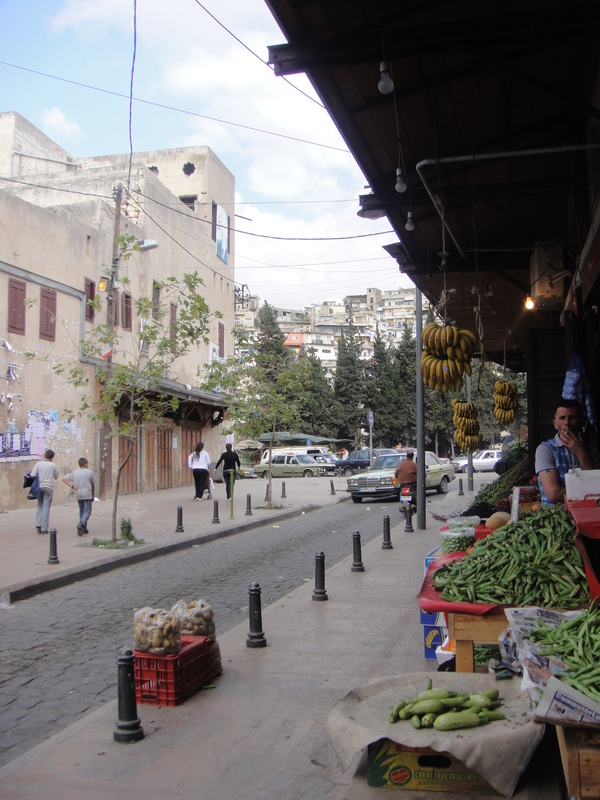 The area’s minority Alawite residents belong to the same Muslim offshoot sect as Syrian President Bashar al-Assad, and have long supported the family regime. Meanwhile, Sunni residents in recent months have provided shelter, hospitals and a base for arms trade to Syrian rebels, all sides acknowledge. The rancor broke into the open last weekend, resulting in two days of gunbattles that left three people dead. The fighting was centered on Tripoli’s Syria Street—a demarcation line between local Sunni and Alawite neighborhoods that extends, metaphorically, to the top levels of Lebanon’s government and across the Middle East. “If Syria is headed to civil war, then Lebanon is headed to civil war, too,” said Abu Yasser, a Syrian refugee who helped found the Lebanon chapter of a relief group for besieged Syrian populations. Fighting in Syria continued Thursday, with government forces attacking the southern city of Deraa and pounding Homs for the second week, activists said. The Local Coordination Committees, an activist network, put the total death toll across Syria on Thursday at 63. Russia was among 12 of the 193 member countries to vote against the resolution, as was China, which said Thursday it would send its foreign minister to Syria for talks on Friday and Saturday. Venezuela appeared to be mounting its own support of Mr. Assad, dispatching an oil-products tanker to Syria, according to shipping records. Even as international fears grow of a Syrian civil war, neighbors are choosing sides. Iran has pledged its support to Mr. Assad, and Western officials have accused Tehran of aiding Damascus in its crackdown on dissent. 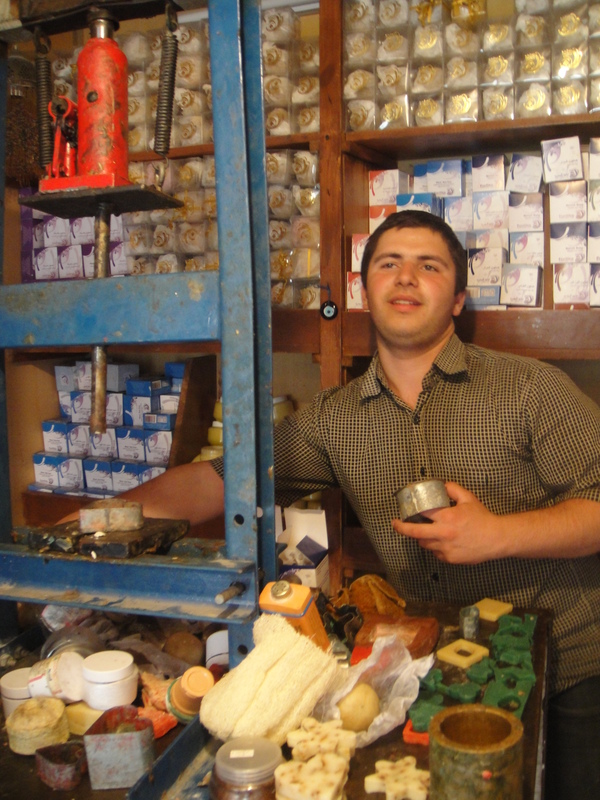 Iraqis, meanwhile, have allegedly been arming both sides of the Syrian conflict. Sunni leaders in Iraq have claimed to be arming the opposition to Mr. Assad. Syrian opposition members have accused Iraq’s Shiite Prime Minister Nouri al-Maliki of aiding Mr. Assad by turning a blind eye to the passage of Iraqi Shiite militiamen, as well as Iranian fighters and weapons transiting to Syria through Iraq, to assist Mr. Assad in his crackdown. Iraqi officials deny this. These battle lines run through northern Lebanon, which shares a porous border with Syria. In the city of Tripoli, many Lebanese Alawites, a group considered a Shiite-offshoot sect, are allied with Hezbollah, the Shiite militant and political group that holds heavy sway in Lebanon’s government. Sunnis in Tripoli have mobilized to shelter Syrian refugees and have helped organize private hospital facilities for the wounded Syrian opposition fighters and activists, say residents and Syrian refugees. Farther north, close to the border with Syria, Syrian Army defectors and refugees have carved out a swath of land in Wadi Khaled, across the border from the besieged Syrian city of Homs, according to residents. The vast valley region has become an operational base for Syrian rebel fighters and weapons smugglers, these residents say. Lebanon is one of the main sources for arms for Syria’s rebels, according to Western officials and opposition activists. The United Nations Refugee Agency says 6,133 Syrians are registered in north Lebanon. Syrian activists say the actual number is at least twice that and growing. Some Lebanese officials fear the area could develop into a lawless enclave outside the central government’s control, similar to the Palestinian refugee camps that played a role in sparking Lebanon’s civil war in 1975. Back then, the influx of Palestinians, including scores of armed militants using Lebanon as a base for attacks against Israel, upended the country’s delicate demographic balance, provoked a civil war and dragged Lebanon into war with Israel. In Tripoli, violent sectarian feuding isn’t new. But as solidarity rallies for Syria’s opposition have grown more frequent, residents of rival neighborhoods described a newfound resolve to settle scores. The latest violence started when residents in the Sunni area unfurled a banner from a building that read “Assad the Butcher,” say some of the people involved in the clashes. On Feb. 10, deadly gunbattles between these pro- and anti-Assad factions prompted the Lebanese army to intervene. The army pulled in to the streets of Tripoli to guard a cease-fire. A week earlier, it had deployed to Syria’s northeastern border at Wadi Khaled, in what appeared to be the first such mobilization there in decades. Residents say the moves are the manifestation of a larger struggle between factions of their government, which rules Lebanon in an increasingly shaky power-sharing agreement. Under the deal, the country’s Shiite-Hezbollah-led alliance influences intelligence services as well as the military. Its rivals, a Sunni Muslim and Christian alliance, control internal security. Officially, Lebanon’s government has held to neutrality in the Syria conflict. But different government institutions, residents say, are weighing in on respective sides. In recent weeks, at least 12 wounded Syrian opposition activists bound for hospitals in Lebanon have been nabbed en route by military intelligence or Hezbollah members, said Abu Yasser, the Syrian medical relief worker in Lebanon, and others in his Syrian opposition-run aid commission. Lebanon’s interior ministry, which is dominated by Hezbollah’s rivals, publicly accused the Syrian embassy in Beirut of kidnapping three Syrian opposition activists in Lebanon last year, a charge the embassy denied. 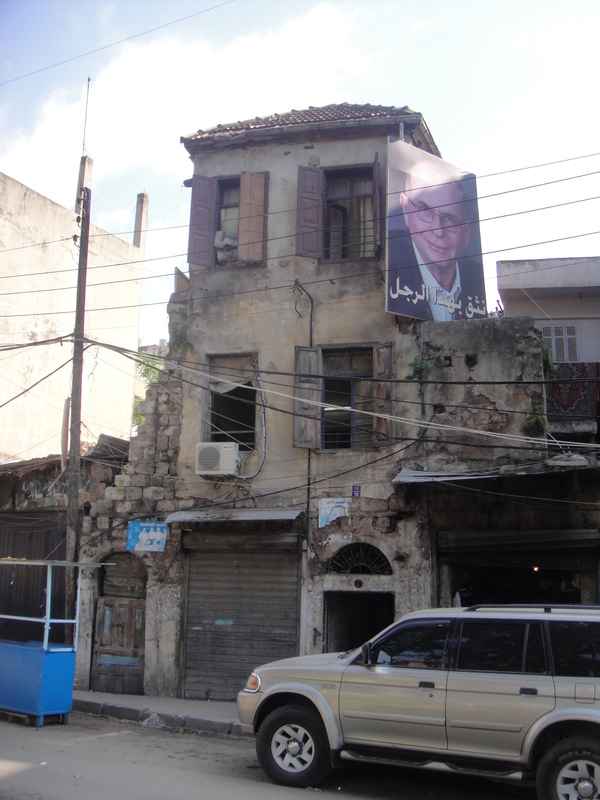 The clashes and protests that resulted forced the embassy late last year to relocate outside of Beirut. Hezbollah officials have been restricted in speaking to the media, except through formal published statements. It didn’t comment on the alleged kidnappings. Lebanon’s dueling camps have also sparred over the deployment of the army on Feb. 4 along the northern border. The government said the border deployment was to monitor the security situation and reassure residents, Lebanon’s state-run news agency reported. But Lebanon’s pro-Syrian opposition factions suspected the army’s real motives were different, as reports emerged that the deployment was restricting the movement of refugees, aid, fighters and the wounded, across the border. They said the military deployed only after Syria’s ambassador met with Lebanese officials to relay Syrian concerns that border smuggling was helping arm militant groups. “We objected immediately, saying: Are you spreading out on the border to protect Lebanon or in response to the demands of Syrian regime?” said Khaled Daher, a parliamentarian with the anti-Hezbollah Future Movement. Hezbollah’s deputy leader, Sheikh Naim Qassem, praised the army. “We reject using Lebanon as an arena for attacking others,” Sheikh Naim, who doesn’t hold a government position, told the state news agency. Bashar al-Assad’s enemies and allies are battling it out in the flashpoint city of Tripoli. But there’s more to this conflict than meets the eye. It seems that GSD officers mounted a trap — Mawlawi was lured to a social services center under the pretext he would receive health care — and had no valid warrant at the time of the arrest. The agency later leaked that Mawlawi had returned days ago from Syria, where he allegedly partook in the rebellion, though it is impossible to confirm these claims. Lebanon’s Sunni prime minister, Najib Mikati, a native of Tripoli, called the manner of the arrest “unacceptable,” adding that he “rejected and condemned [it]” during a meeting of Lebanon’s Higher Defense Council, the top body in charge of internal and external security. Notwithstanding this torrent of words, a military prosecutor charged the six men on May 14 with belonging to an “armed terrorist organization” and “plotting to carry out terrorist acts inside and outside of Lebanon.” A Lebanese newspaper on May 15 quoted intelligence sources saying Mawlawi confessed to the accusations. Ever since Syria’s uprising began, Hezbollah and its allies in the Lebanese government have wanted to see a more forceful state crackdown on anti-Assad activities. This, however, would fatally destabilize a government over which they wield decisive influence — alienating their shrinking number of Sunni allies at the risk of further inflaming sectarian passions. For his part, Prime Minister Mikati has tried to tread a thin line between assuaging his Sunni constituency and his pro-Assad allies in government, touting a shaky policy of neutrality and “dissociation” from developments in Syria. This has not prevented Lebanon’s security agencies from monitoring, harassing, and even aiding in the rendition of Syrian dissidents, to the anger of the country’s large anti-Assad constituency.